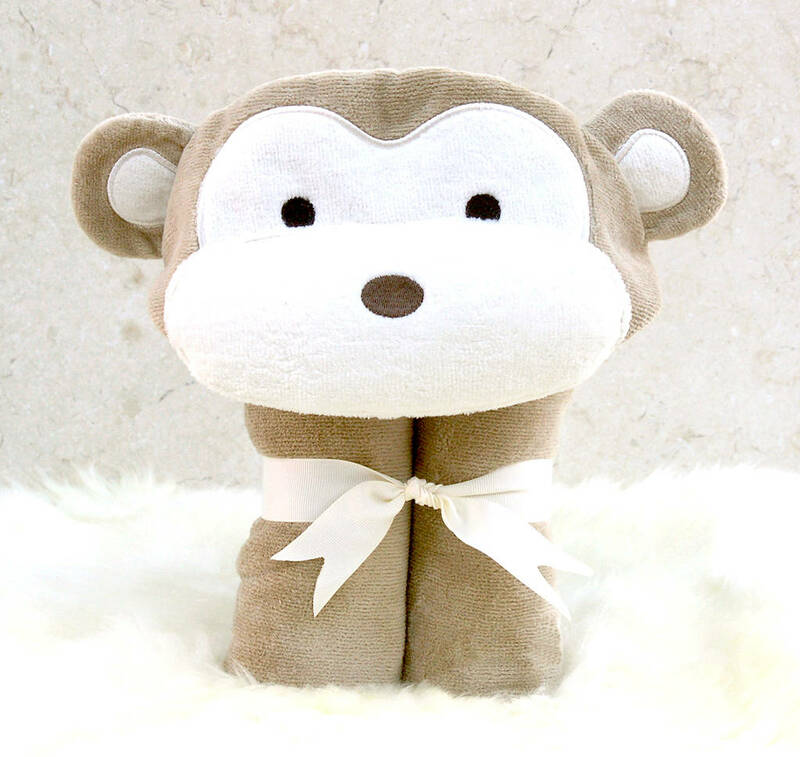 A luxurious super-soft baby gift bath towel with monkey design. 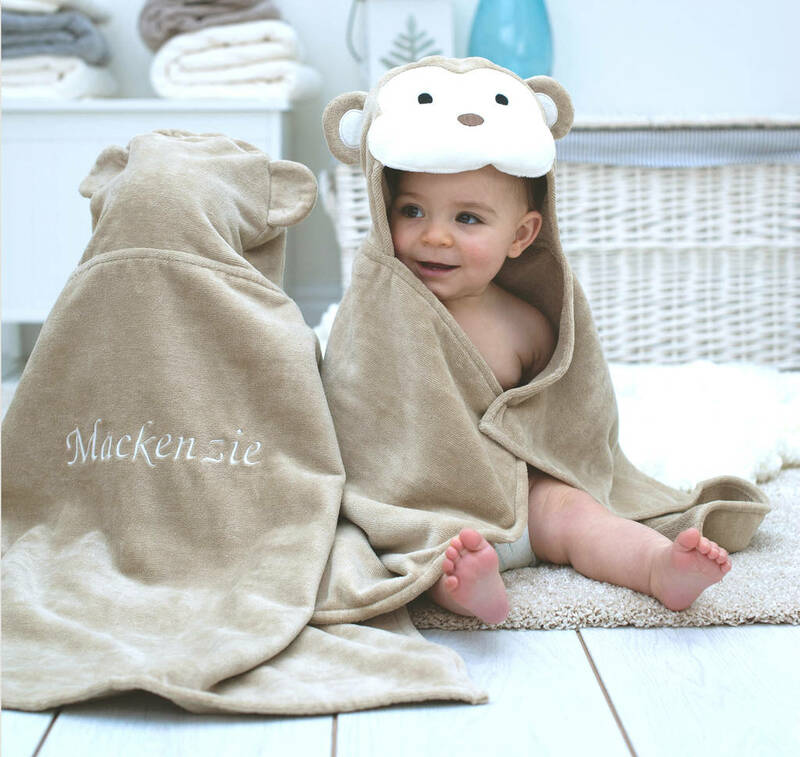 Cheeky Monkey hooded baby bath towel is full of fun and mischief! 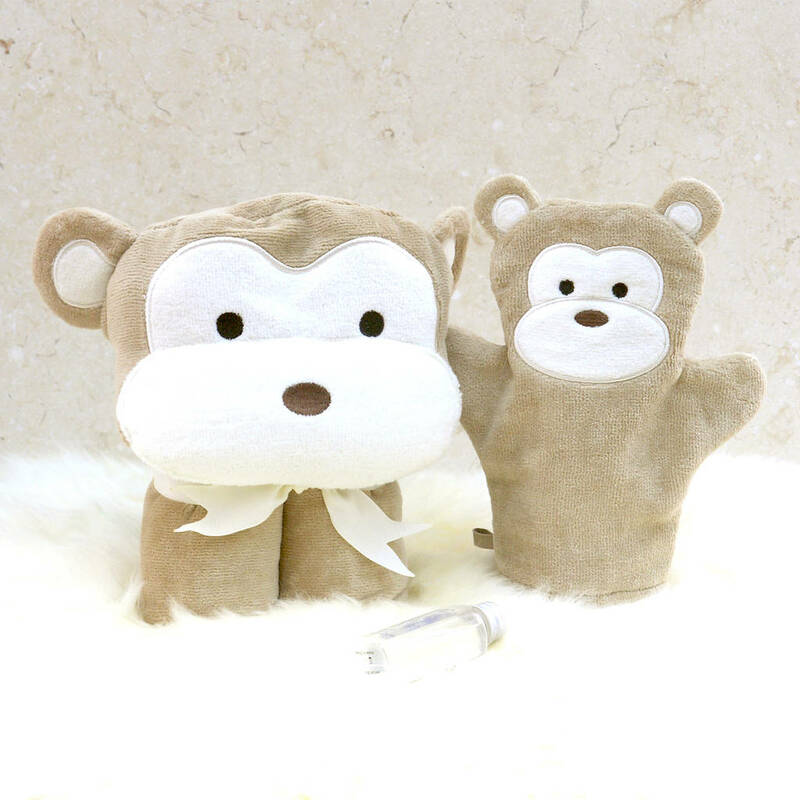 The hooded baby towel features a cute monkey in neutral tones, cleverly folded and beautifully presented with a cream ribbon to create a freestanding soft 'toy'. This is a 100% cotton velour baby towel. 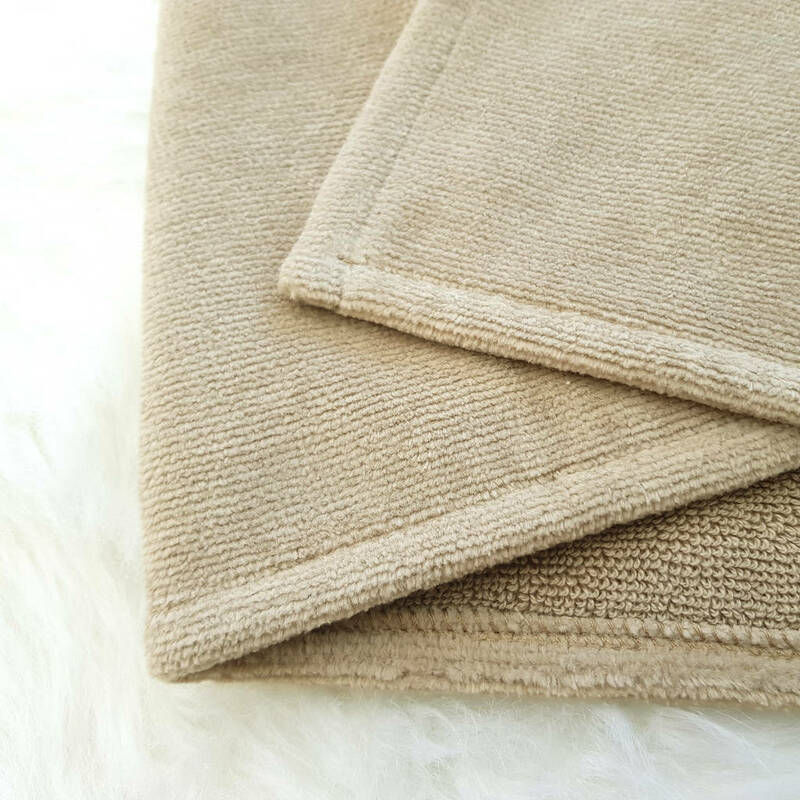 The outer velour side gives the towel a luxurious silky soft feel. In plush 490 gram weight, this towel is of superior quality with great water absorbency. Not only will it keep babies dry, cosy and warm, quality will last wash after wash. It makes a lovely baby gifts - for baby shower presents or new baby gifts for christenings, birthdays and Christmas. 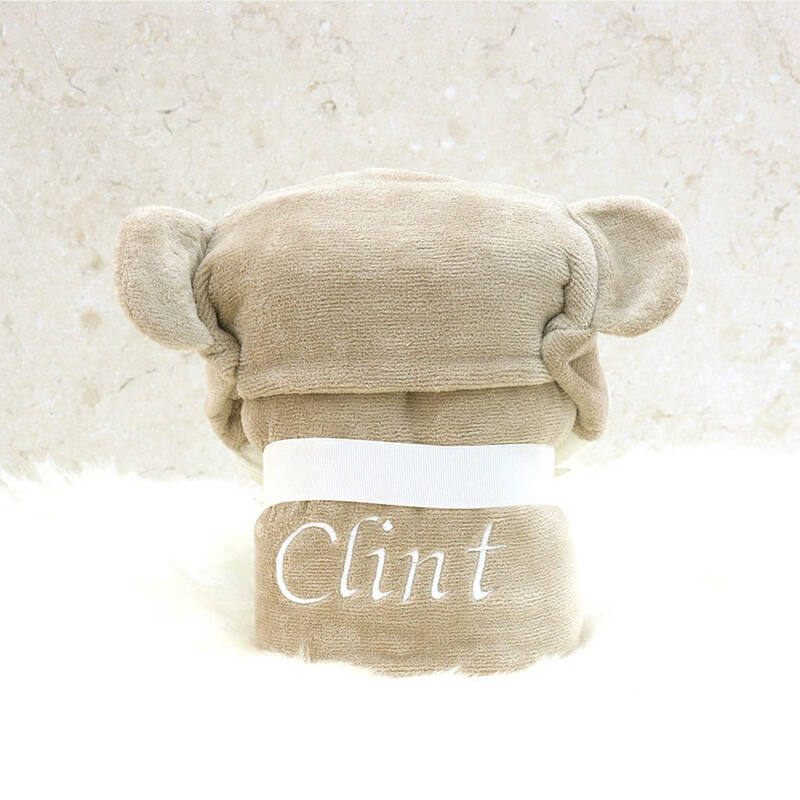 For a really special touch, why not personalise your new Cheeky Monkey baby gift towel with your choice of name beautifully embroidered on the back. 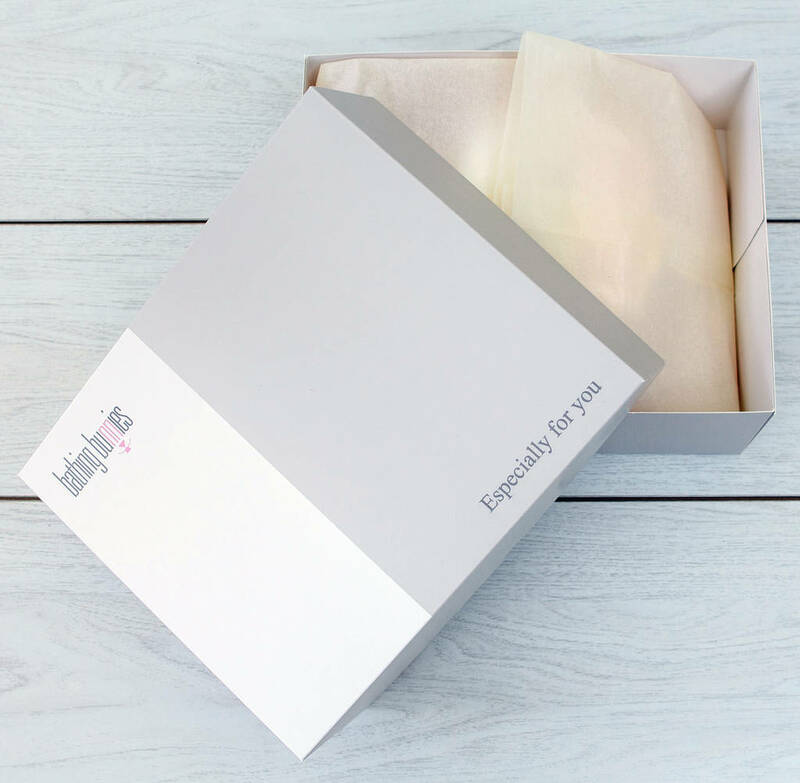 Recipient will be delighted with this personalised baby gift! Cheeky Monkey is also available as a baby towel gift set.